25 Can’t-Miss Experiences to Celebrate the Holidays at Walt Disney World This Year! 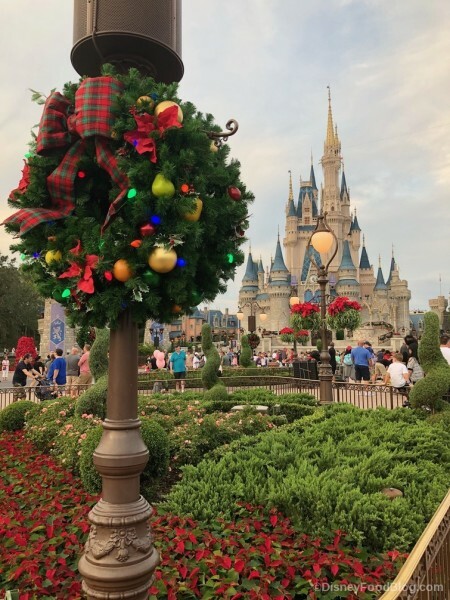 You might not be ready yet to start humming Jingle Bells just yet, but the Holidays at Walt Disney World are on their way… and frankly, we love it! It’s the most wonderful time of the year to visit (even with the massive crowds! ), and there are endless holiday-themed experiences to make your holidays even brighter! 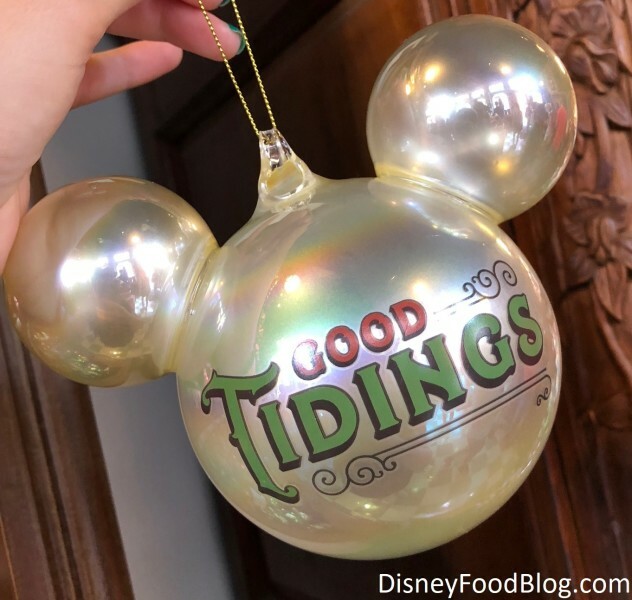 Disney World does the holidays right — from decor to events to merchandise and more! And we don’t want you to miss out on any of the top draws. So let’s take a look our list of the 26 Must-do Disney Holiday Events — and Eats! 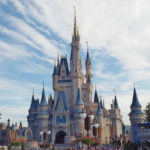 — to celebrate this season at Walt Disney World! 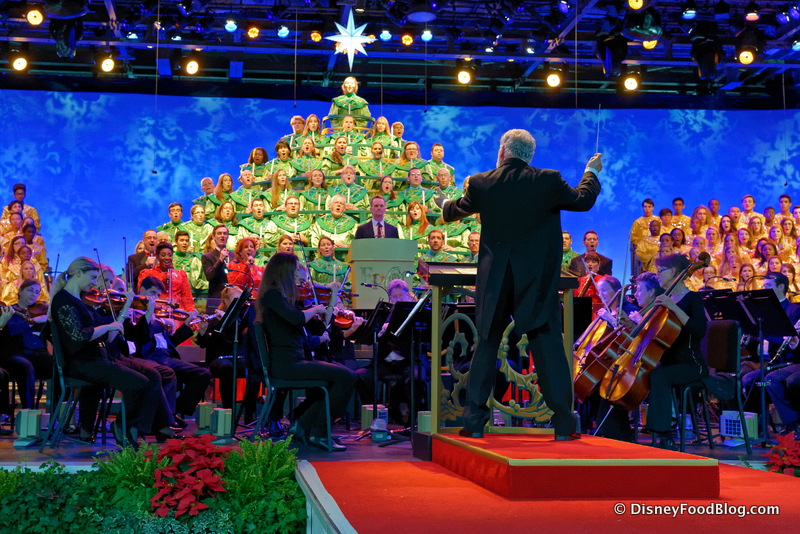 One of the most beloved holiday events at Walt Disney World is the Candlelight Processional at Epcot. During this festive performance, celebrity narrators recount the traditional holiday story while a choir and orchestra perform traditional Christmas carols. The Candlelight Processional is performed three times nightly from November 22 (Thanksgiving!) through December 30, and every performance will likely draw in huge crowds. Even with those crowds, you can catch most of the show from the Promenade behind the American Gardens Theatre. 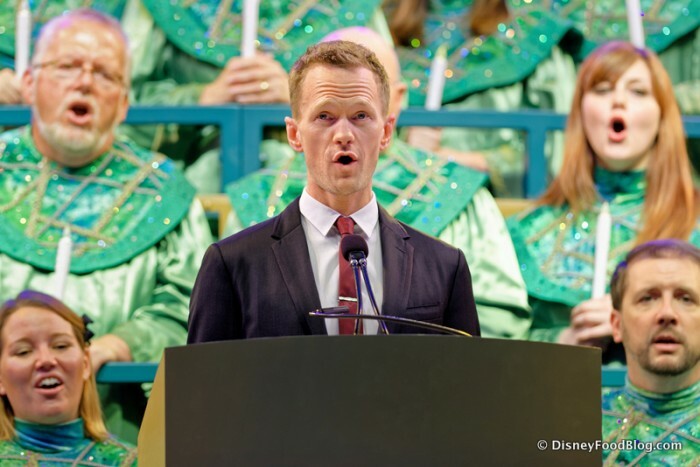 But if you’re looking to snag a seat for the performance, consider taking advantage of the Candlelight Processional Dining Packages. The cost includes a meal at a participating Epcot restaurant and reserved seating for the Candlelight Processional. You can book the package for Breakfast, Lunch, or Dinner, and have the comfort of knowing that your Candlelight Processional seat is guaranteed. This is a great way to ensure a peaceful and relaxing night enjoying a truly special show. 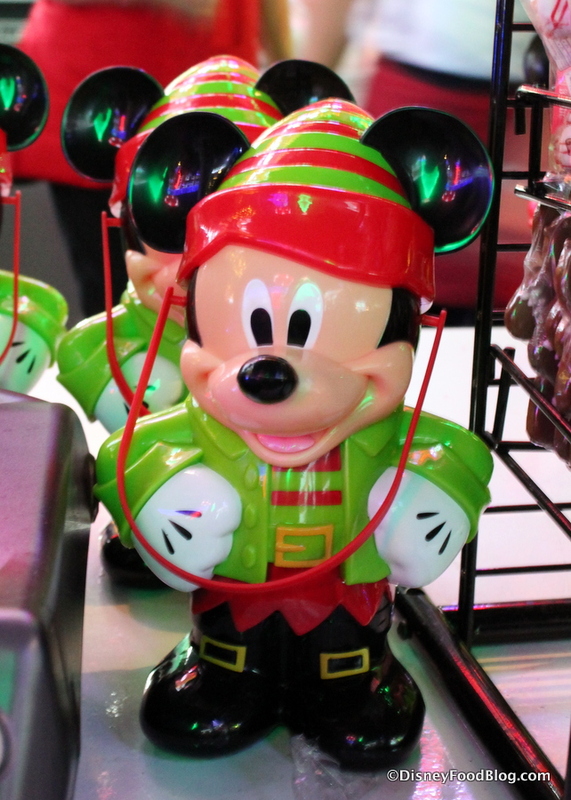 If you’re known for your Christmas spirit, Mickey’s Very Merry Christmas Party is an absolute MUST! 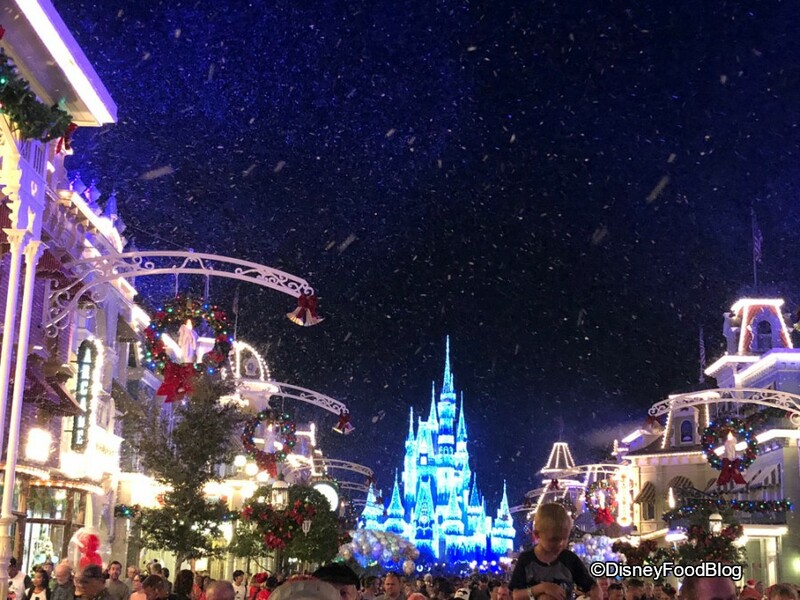 This specially-ticketed event brings the very best of the holidays to the Magic Kingdom — with a dusting of snow! Snow on Main Street, USA! This special after hours event, held select nights from 7PM until midnight, offers lots of ways to get into the spirit of the season. Special Character Meet and Greets throughout the park give you a chance to hang with rarely seen characters decked out in their holiday finest. 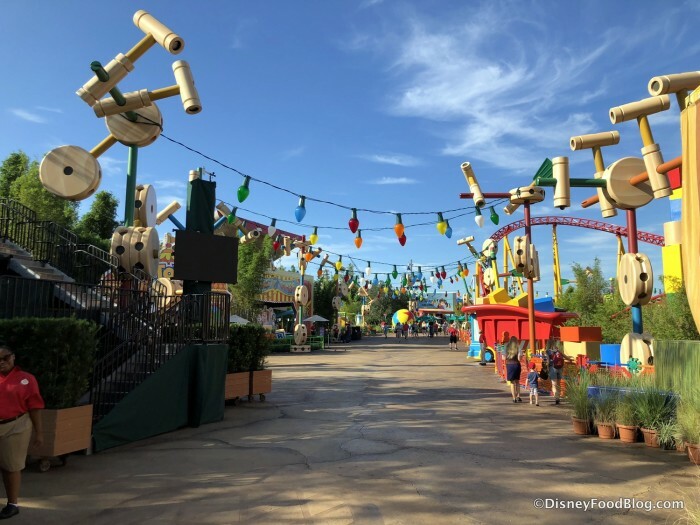 You’ll also enjoy special performances like the Totally Tomorrowland Christmas and Mickey’s Most Merriest Celebration on stages set up throughout the park. And who could forget snow on Main Street, U.S.A.? 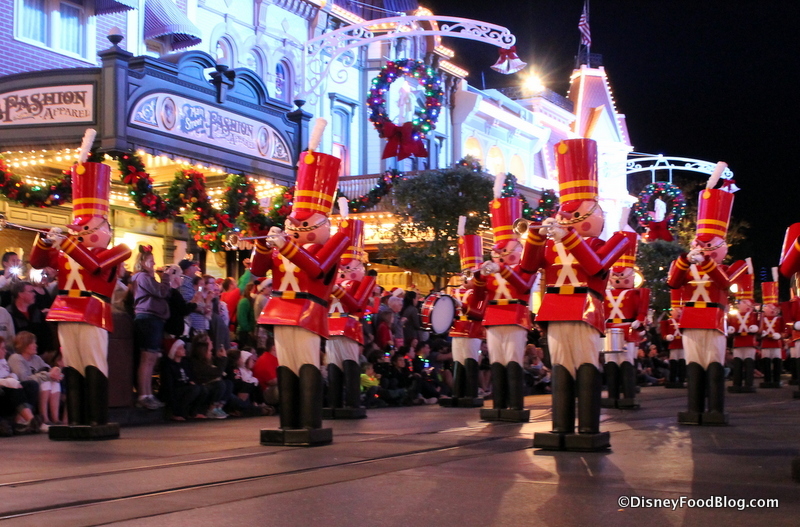 Toy Soldiers During the Once Upon a Christmastime Parade! And don’t forget the special Holiday Wishes Fireworks Spectacular! This holiday-specific fireworks display is only available during Mickey’s Very Merry Christmas Party through the party’s final night (December 21, 2018). But after the 21st, Holiday Wishes replaces Happily Ever After as the nightly fireworks show through Christmas. 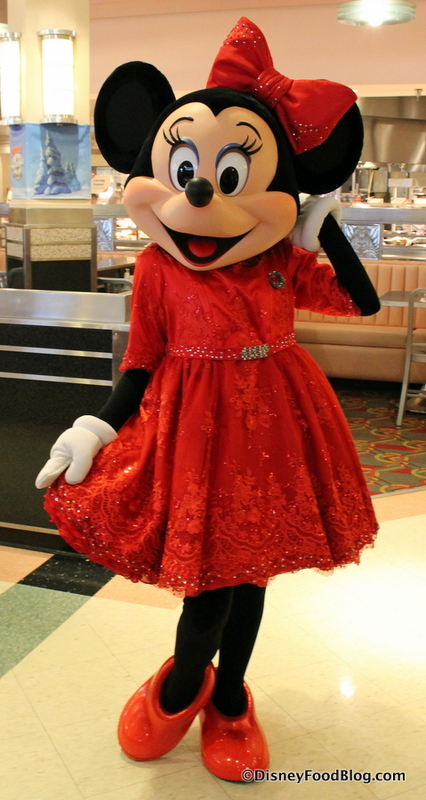 If you’ve always wondered how Minnie does holiday dinner (or lunch! 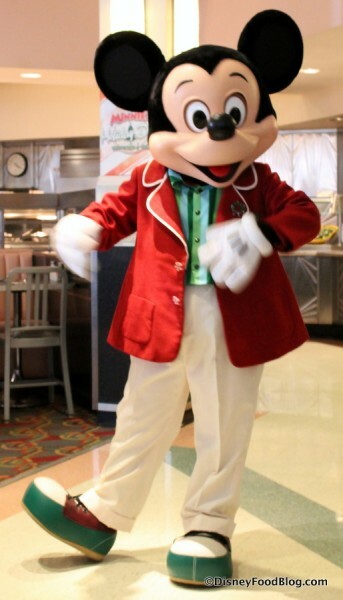 ), get yourself an Advance Dining Reservation for Minnie’s Holiday Dine at Hollywood and Vine Restaurant! 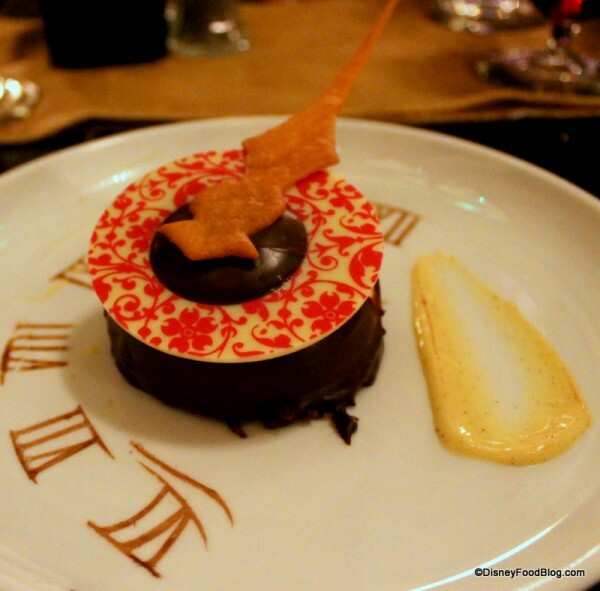 This festive dinner was first introduced in 2015, and we had a fabulous time when we checked it out! Seeing the characters in their holiday best is a highlight! Minnie’s throwing seasonal dinner parties here throughout the year, so there’s always something fun going on at Hollywood and Vine! 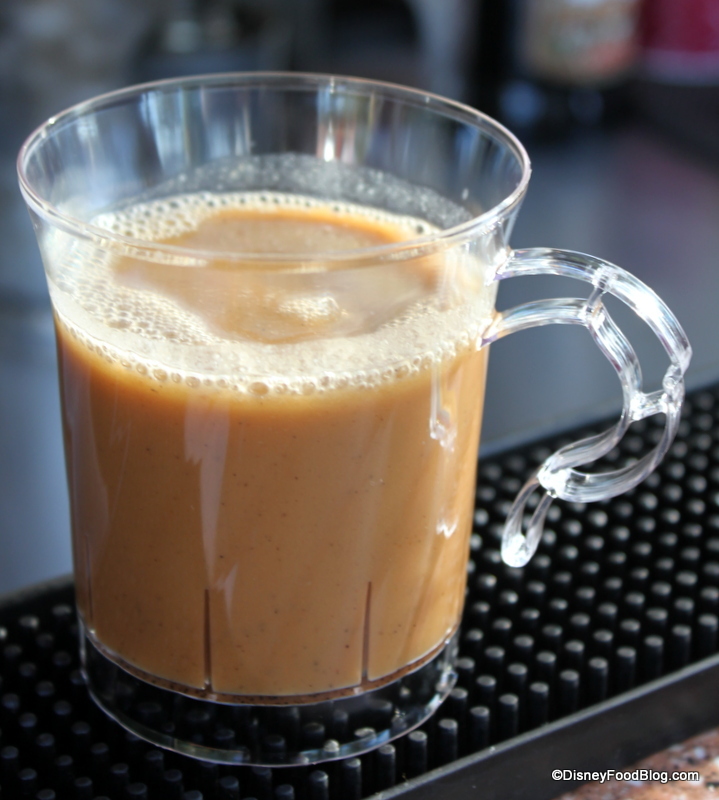 The first appearance of Gingerbread is a sure sign that Christmas and other winter holidays are just around the corner. 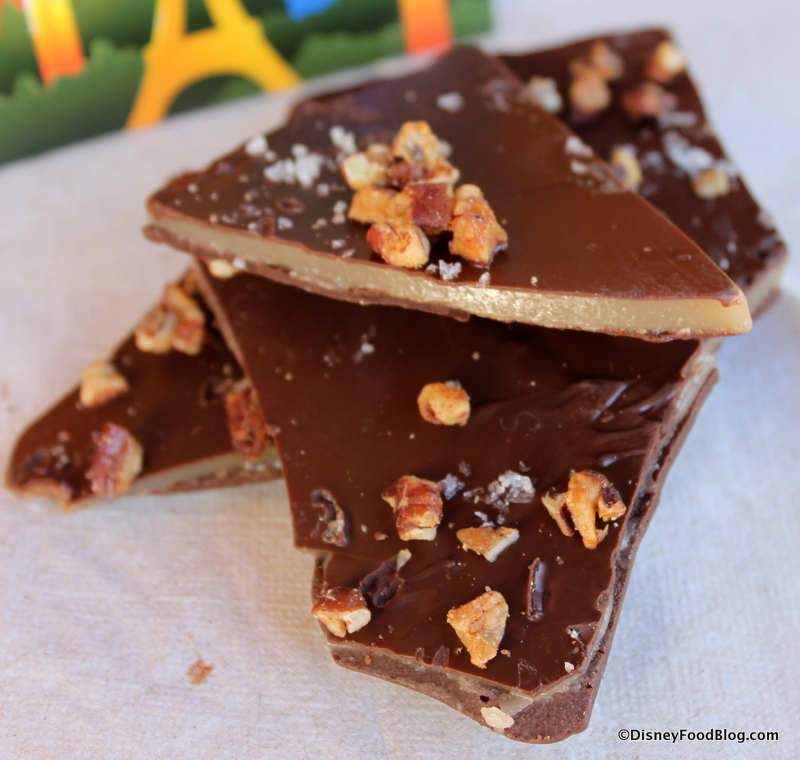 And displays featuring this traditional confection at Disney Resorts are must-see Disney holiday experiences! Y’all, these aren’t your traditional gingerbread houses. In fact, the Gingerbread House at the Grand Floridian and the Gingerbread Carousel at the Beach Club are life-sized displays! And they are good enough to eat. And you can — sort of! 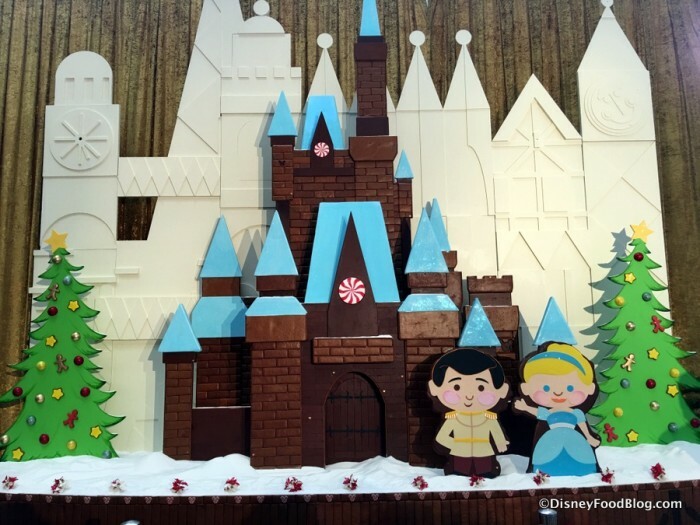 Whether you prefer the Mary Blair-inspired display at the Contemporary, the Carousel at the Beach Club Resort, or my favorite, the huge gingerbread house at the Grand Floridian, be sure to make some time for these masterpieces during your visit. And don’t forget to look for special holiday Hidden Mickeys and holiday character meet and greet opportunities at the resorts! 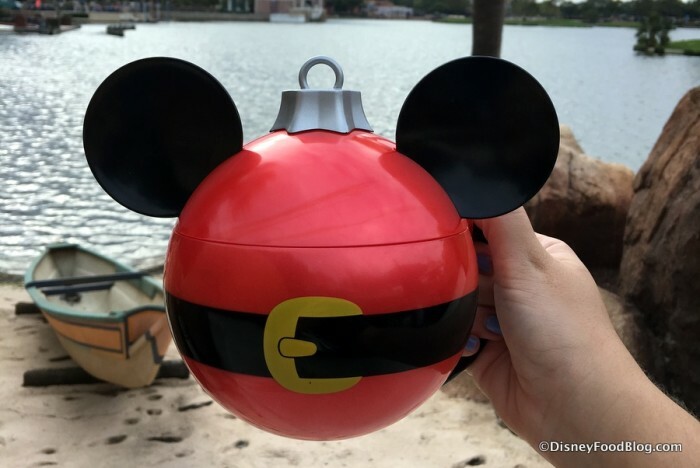 Disney fans are world-class collectors of awesome souvenirs, and Holiday Popcorn Buckets are right at the top of the list! Always colorful and full of character, it’s fun to see what they come up with from year to year — and totally worth making space in your suitcase for the empty vessel! Just when you didn’t think that Disney could become anymore delicious, the holidays arrive. And with them, there are plenty of special eats and drinks to enjoy. 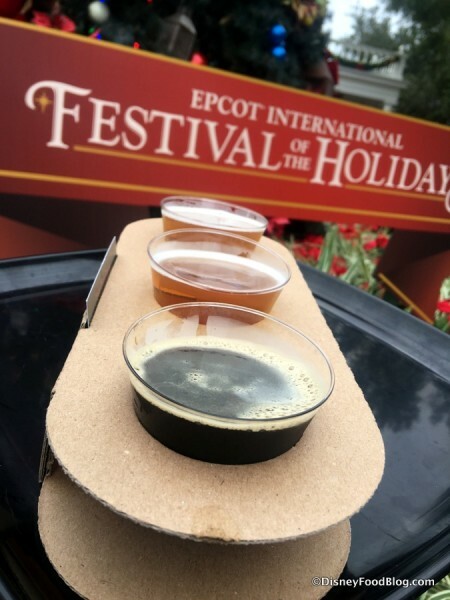 Some of my favorite holiday dishes and drinks can be found around World Showcase during Epcot’s International Festival of the Holidays (taking place November 18 to December 30, 2018!). After all, it just wouldn’t be Christmas time without Hot Applejack Cider in the UK, or Glühwein in the Germany Pavilion. 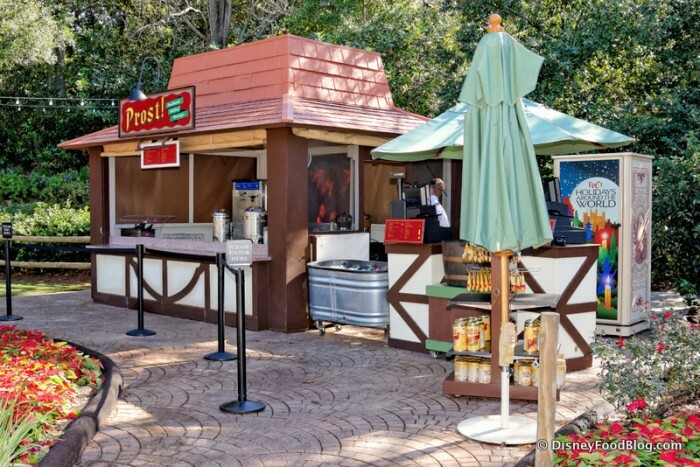 Food booths during the Festival of the Holidays are called Holiday Kitchens, and they feature special bites from around the world! These are not to be missed! Epcot’s Festival of the Holidays! Epcot’s International Festival of the Holidays is about a lot more than just great drinks (and eats). Be sure to time your stroll on the Promenade just right so that you can take in all of the World Showcase Storytellers! You’ll hear plenty of Christmas stories, but you’ll also learn about other customs celebrated throughout the world at this time of year. It’s well worth your time to catch them all! 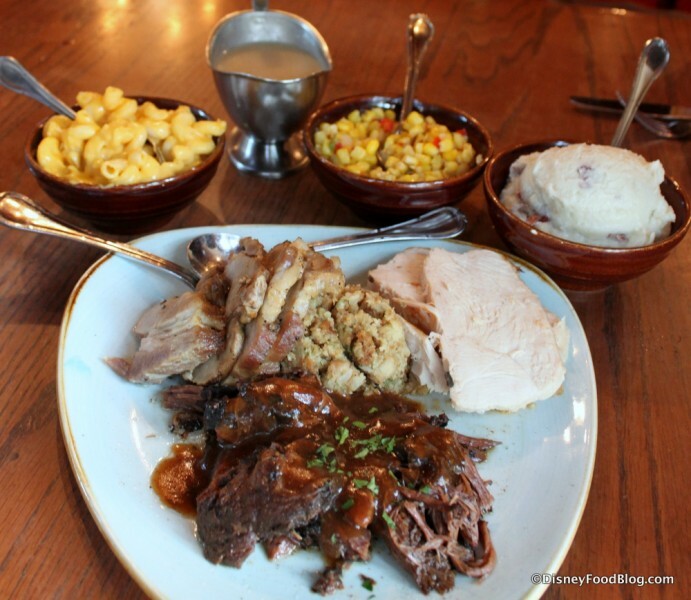 Thanksgiving is a heartwarming time to spend with family and friends, and our friends at Magic Kingdom’s Liberty Tree Tavern love the traditional feast so much that it’s available all year ’round during both lunch and dinner! 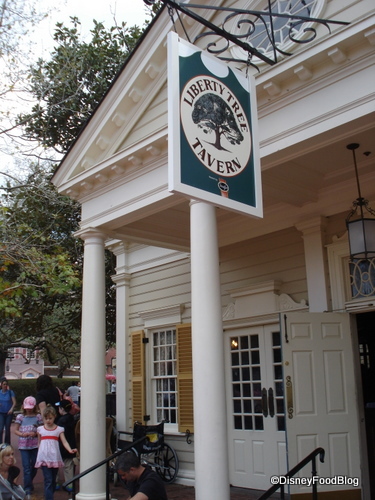 With it’s colonial vibe, there’s nowhere quite like Liberty Tree Tavern for enjoying your Thanksgiving meal. 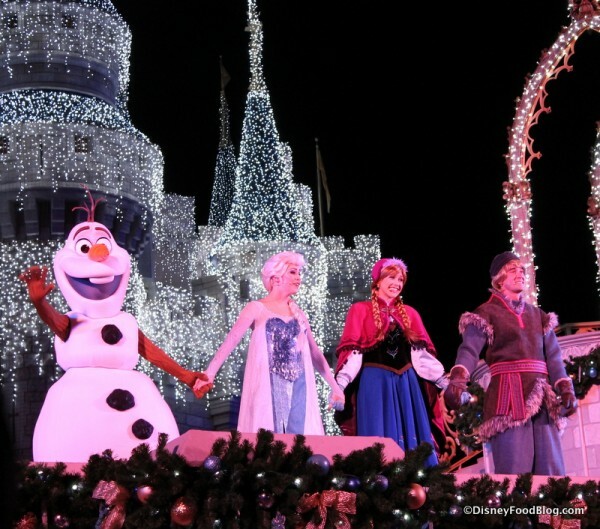 If spending New Years Eve at Walt Disney World is not on your Disney Bucket List, maybe it should be. Despite insanely big crowds (the parks often reach capacity! ), the festive atmosphere is something to experience! The parks pull out all the stops on this night that’s just made for partying. Be sure to take your power nap in the afternoon so that you can stay up late for the extra special New Year’s Eve Fireworks displays! 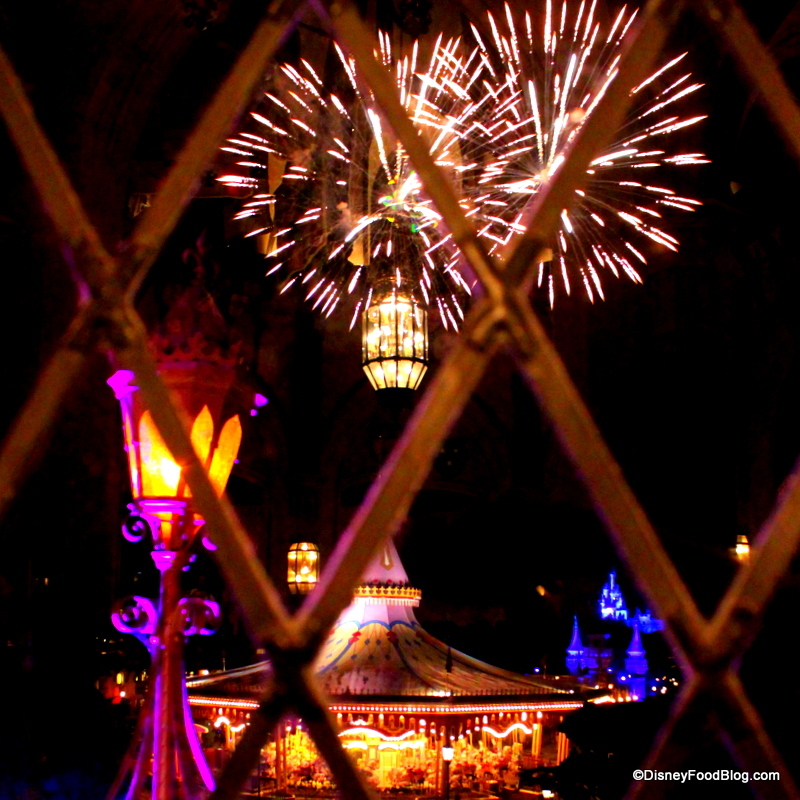 Read a review from the DFB Team about dining at Cinderella’s Royal Table for New Year’s Eve! 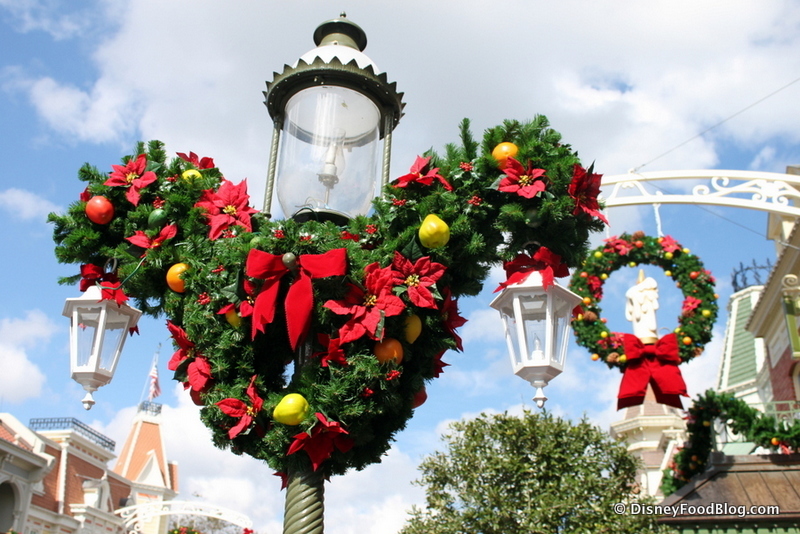 Can’t get enough holiday decor in the Parks? 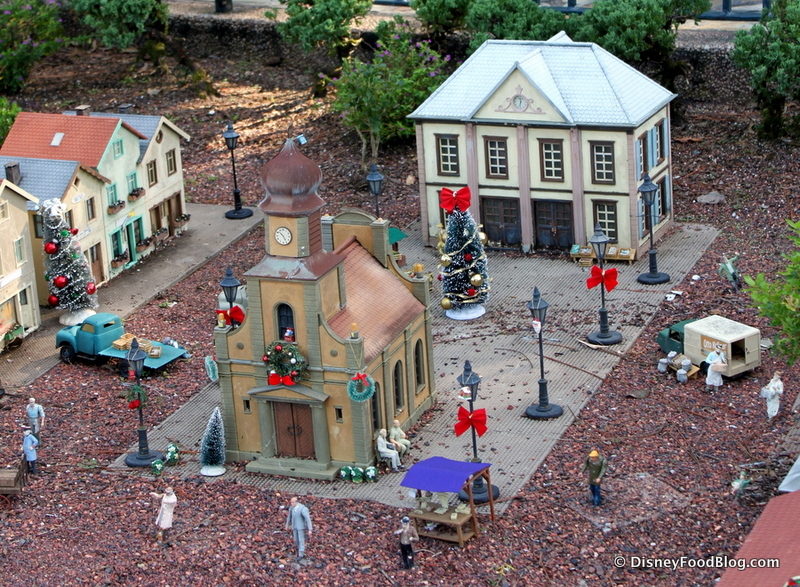 Then check out the fabulously miniature decor on the toy train display in Epcot’s Germany Pavilion! It doesn’t matter how many times I visit the park, I always have to stop here, especially during the holidays, when the town square is decked out for the occasion! Check Out the Holiday Decorations in the Germany Pavilion’s Train Town Square! I always look forward to the time when Christmas comes to miniature Germany! 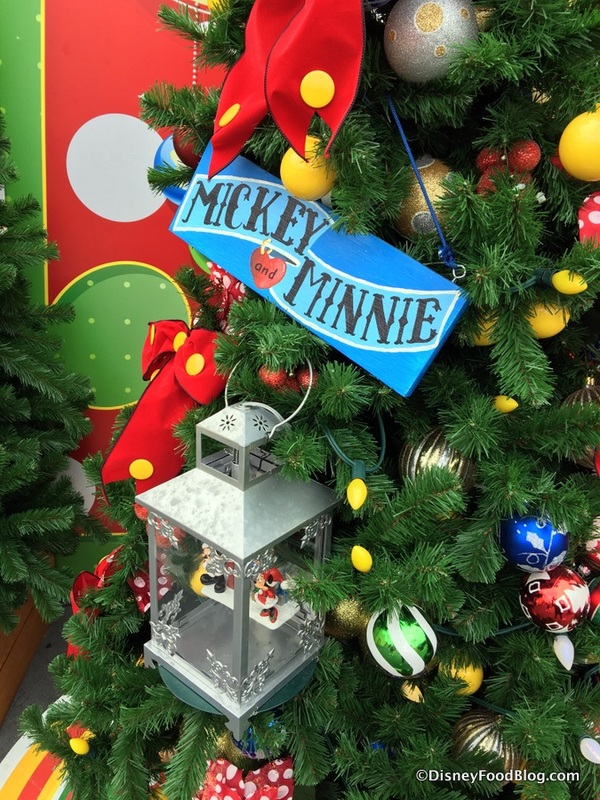 It’s Christmas 365 days a year at Disney Days of Christmas in Disney Springs, but during the holidays, you have to make a pilgrimage here for the best souvenir of all — a personalized ornament! No time for a trip to Disney Springs? 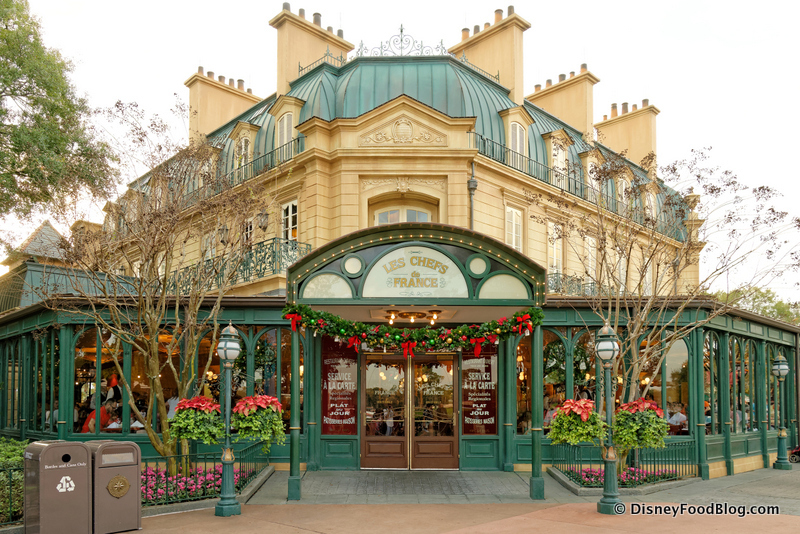 Stop by Ye Olde Christmas Shoppe in Magic Kingdom’s Liberty Square instead. These are souvenirs you’ll love to unpack year after year! 12. 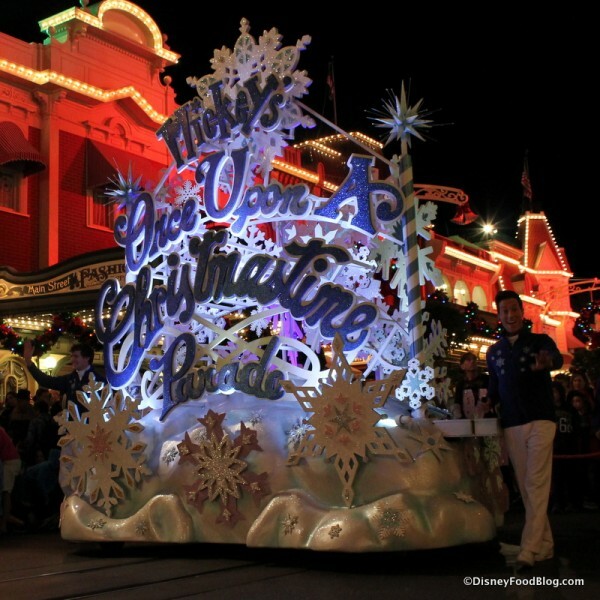 Attend the Christmas Parade Taping! 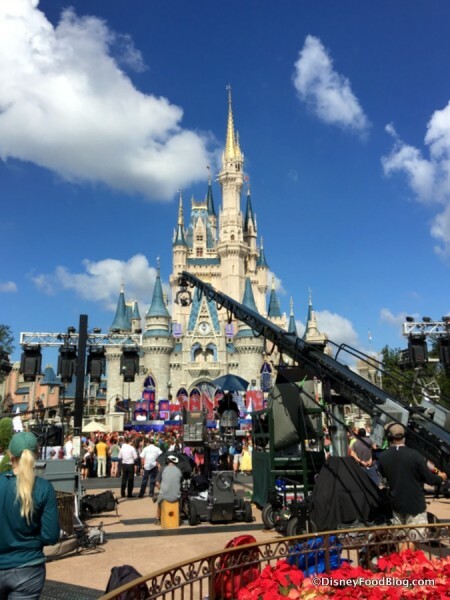 Both Walt Disney World and Disneyland actually tape portions of the Christmas Parade (as well as the Christmas Parade performances) for an ABC Television Special well before the actual holiday. 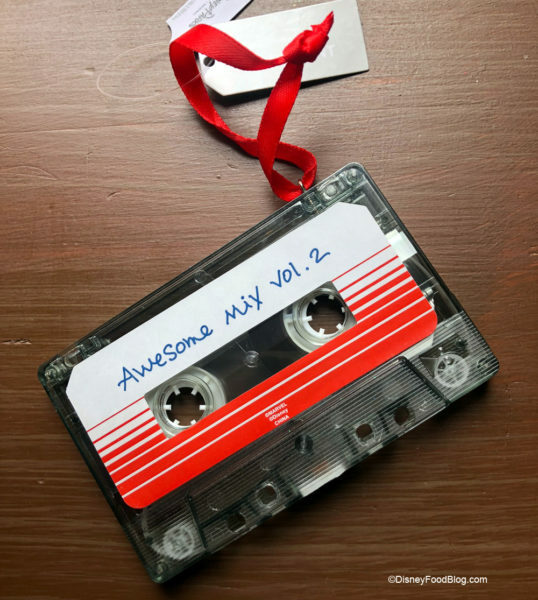 In the past, taping has taken place the first weekend in December, but for the past two years, it was taped in early- to mid-November! So if this is something that you’d love to be a part of, be sure to keep a sharp eye out for when the date is announced in 2018. Then, prepare to be amazed by the work that goes into this holiday special! And while it may compromise some of the magic for some guests, it’s pretty fun to catch a glimpse of yourself on the special on Christmas morning! 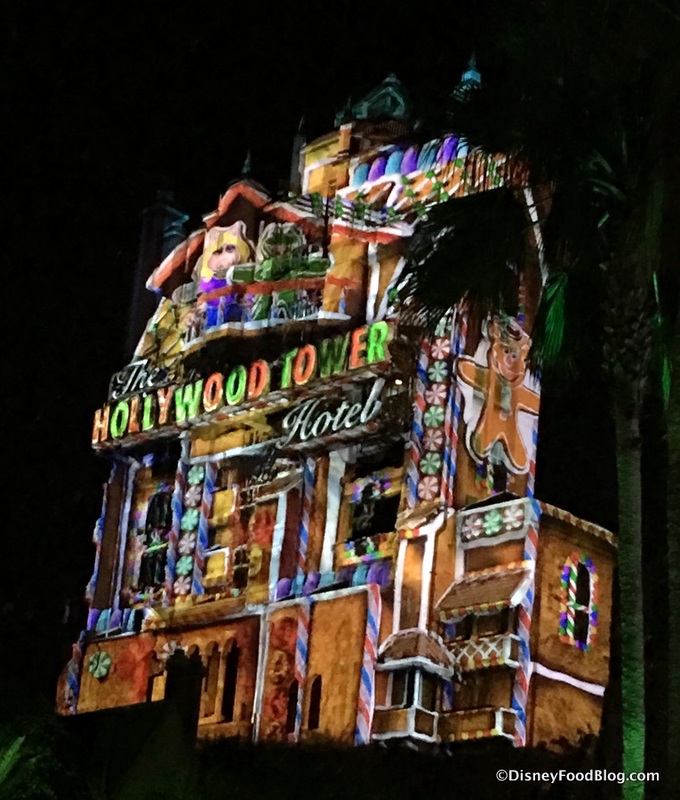 In 2017, Disney’s Hollywood Studios upped the holiday merriment with the Flurry of Fun! This event includes the Jingle Bell, Jingle BAM! fireworks and projection spectacular, and Sunset Seasons Greetings, with massive projections transforming the billboards and Tower of Terror on Sunset Boulevard! 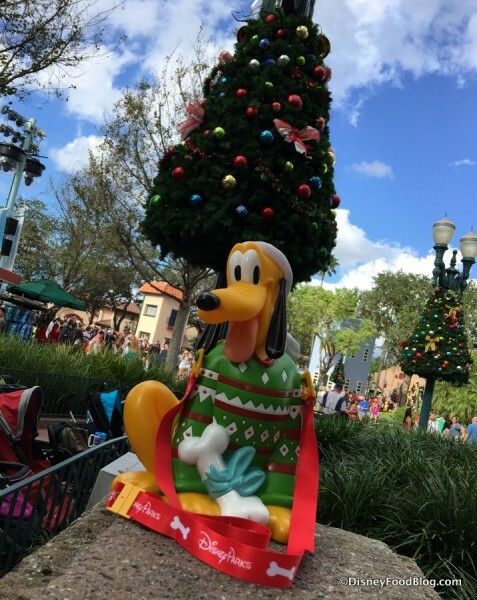 Flurry of Fun starts on November 8 and continues through the holiday season! And new in 2018, we expect Toy Story Land to bring the spirit to life with overlays on statues, holiday tunes, and much more! Oh, and there will be EXTRA FESTIVE FOOD, too! 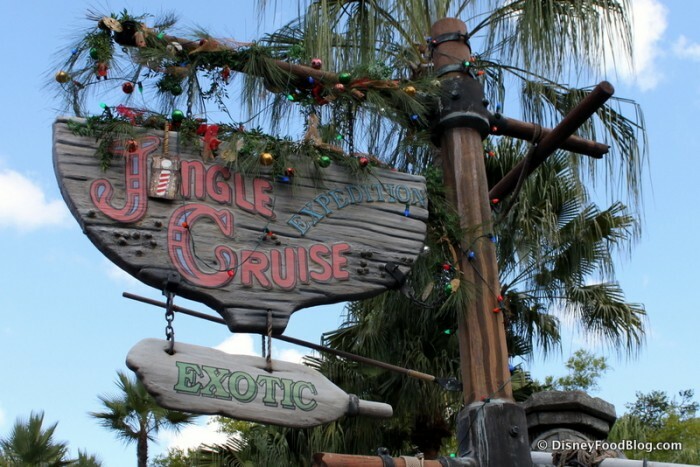 A couple of years ago, those enterprising Jungle Cruise Skippers became a little nostalgic for Christmas celebrations — and the Jingle Cruise was born! If you love the Jungle Cruise anyway, be sure to book your FastPass+ for this holiday version — complete with corny holiday jokes and extra fun holiday decor. If you love a Walt Disney World parade, you’ve got to make time for this holiday version, which includes life-sized Dancing Gingerbread and marching Toy Soldiers come to life! This special parade takes place during Mickey’s Very Merry Christmas Party (through December 21; starting December 22, it also thrills during regular Magic Kingdom hours!) 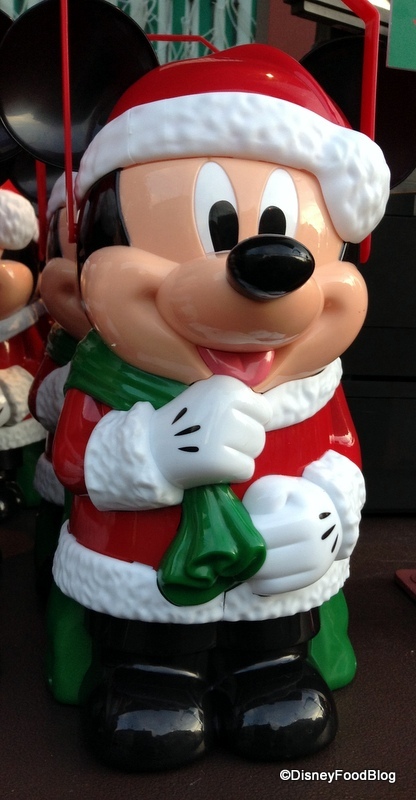 and features favorite characters on specially themed floats, as well as holiday icons. 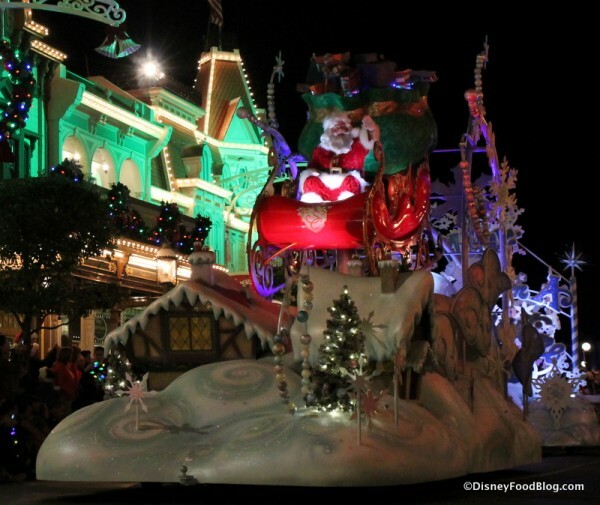 Look for Santa during the parade’s grand finale! 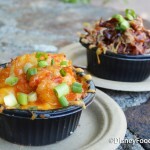 Some seriously awesome Disney snacks appear just once a year — and that time is now! 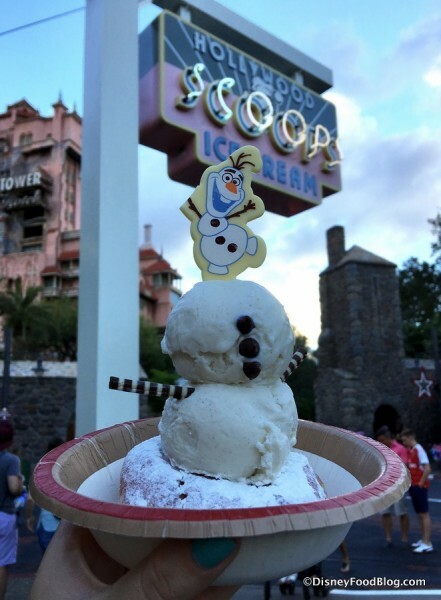 Be sure to keep an eye out for extra special snacks, like Olaf Sundae at Hollywood Studios’ Flurry of Fun! 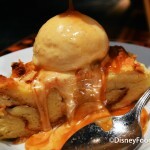 There’s no shortage of treats at Magic Kingdom as well. 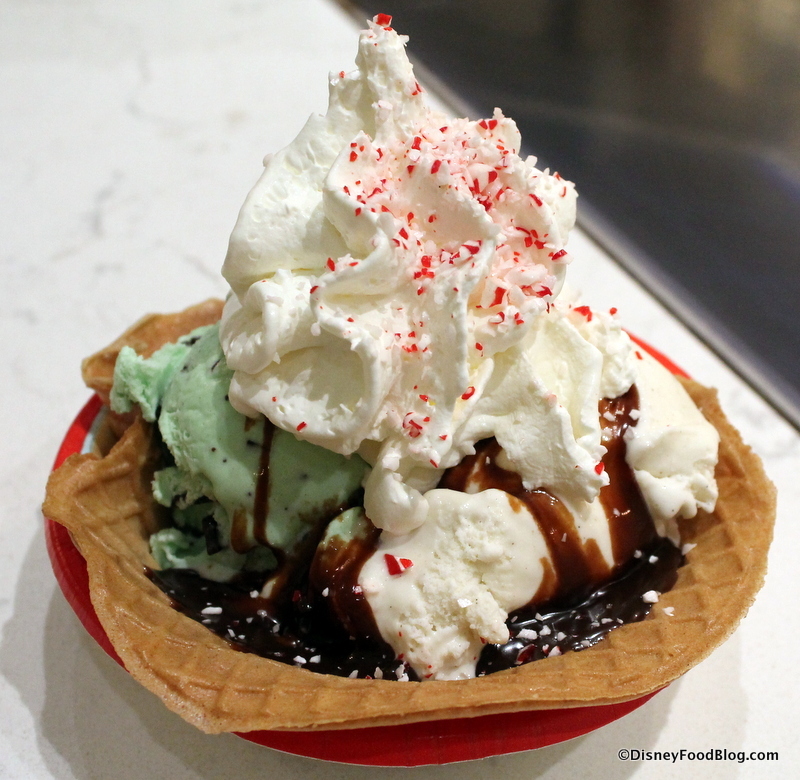 Check out this Peppermint Sundae at Plaza Ice Cream Parlor, available during Mickey’s Very Merry Christmas Party! 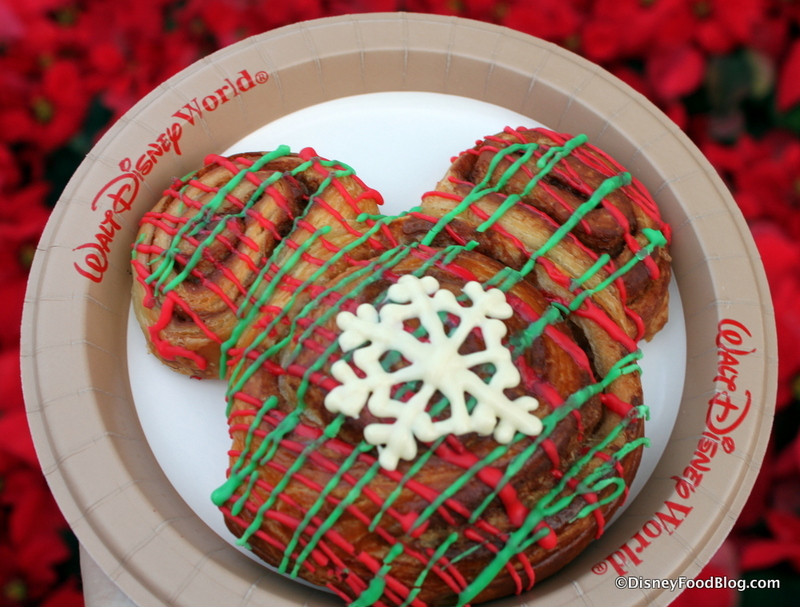 And this holiday-ready Mickey Cinnamon Roll is truly delicious — and available at Main Street Bakery all day, every day, during the holiday season! 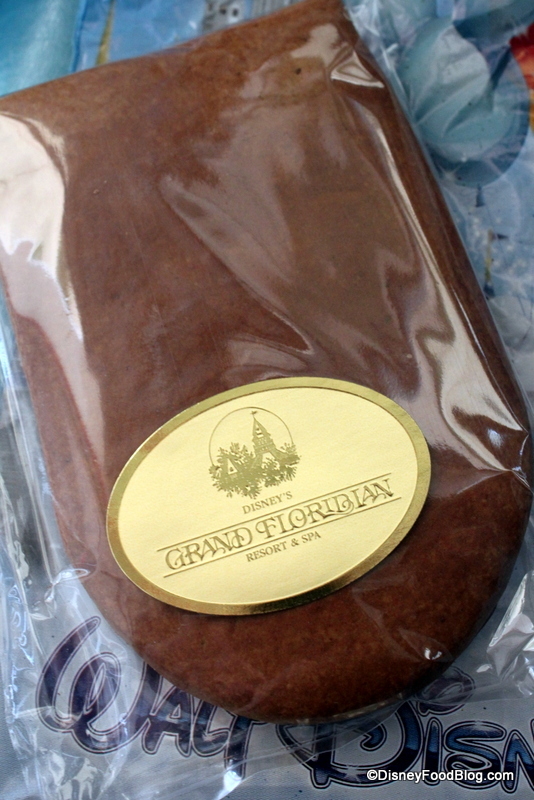 And don’t forget to pick up a gingerbread treat from one of the resorts! 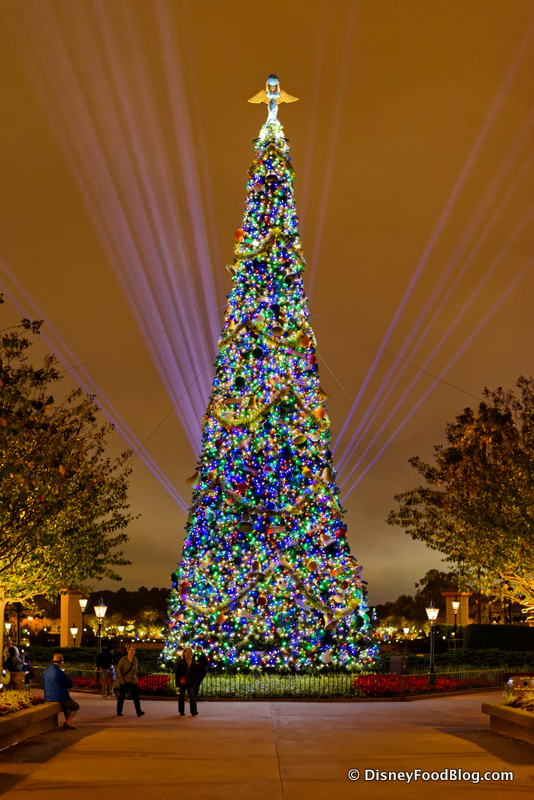 Every night at 6PM, a Tree Lighting takes place in Epcot’s World Showcase Plaza. 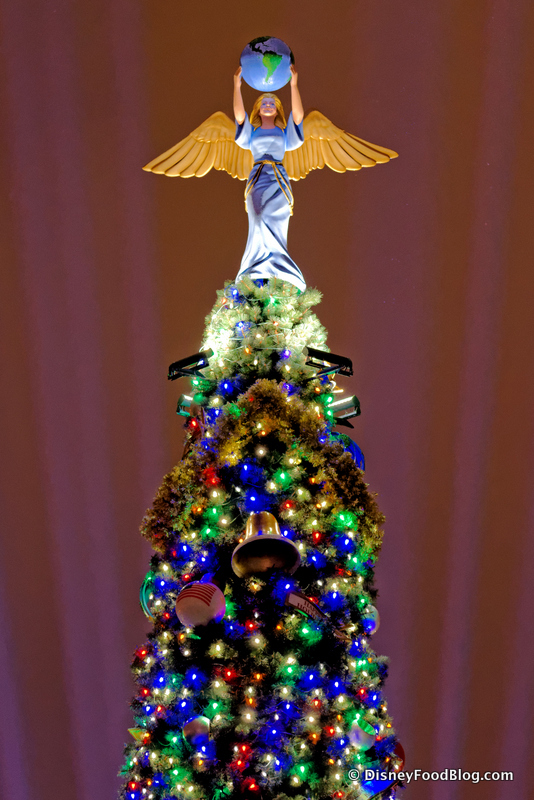 From year to year, the theme of the Epcot tree is Peace on Earth. If a bright and cheerful Christmas tree is your favorite part of the holiday season, you definitely don’t want to miss this beautiful spectacle. If singing Christmas Carols is a rite of passage for you during the holidays, you can get your jingle on with Carolers in different spots throughout Walt Disney World. And you should totally join in with the singing! 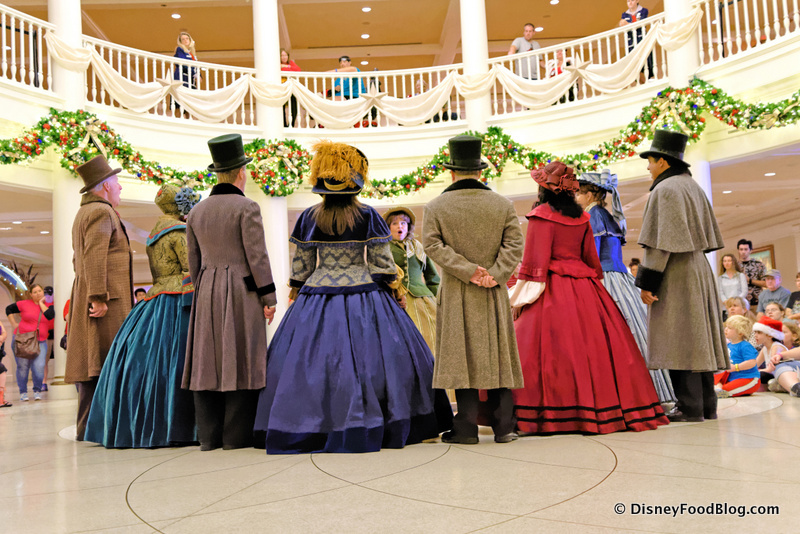 In Epcot, look for the Voices of Liberty to don Victorian garb and transform into Dickens Carolers. 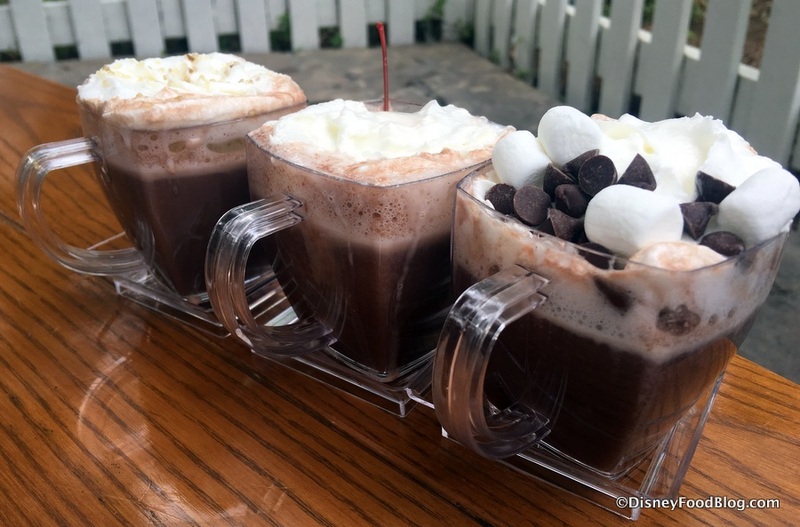 Find them in the American Adventure Pavilion. 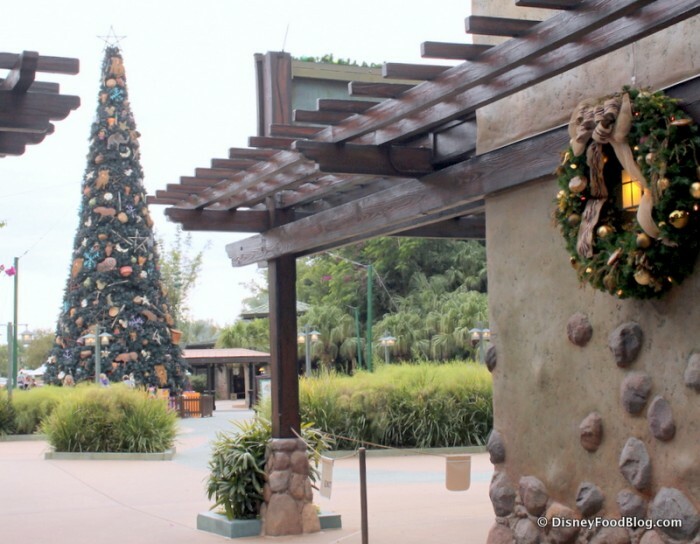 Animal Kingdom also features carolers singing holiday classics near the tree at the park’s entrance. Carolers also make regular appearances throughout the resorts and at Disney Springs. Check with guest services at any of these locations to find out when you can make merry with the carolers! 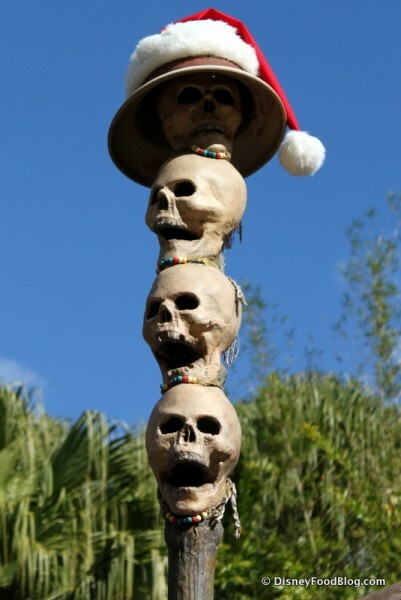 Special Holiday Tours are also a great way to add magic to your visit. Because the tours are usually limited to a small group, they have a much more personal feel than many of the other holiday-specific events. Tours like the Holiday D-Lights tour and Yuletide Fantasy take you behind the scenes to learn all about how Disney transforms for the holidays — plus you’ll get to take in some of Disney World’s most popular holiday events with your own personal guide. 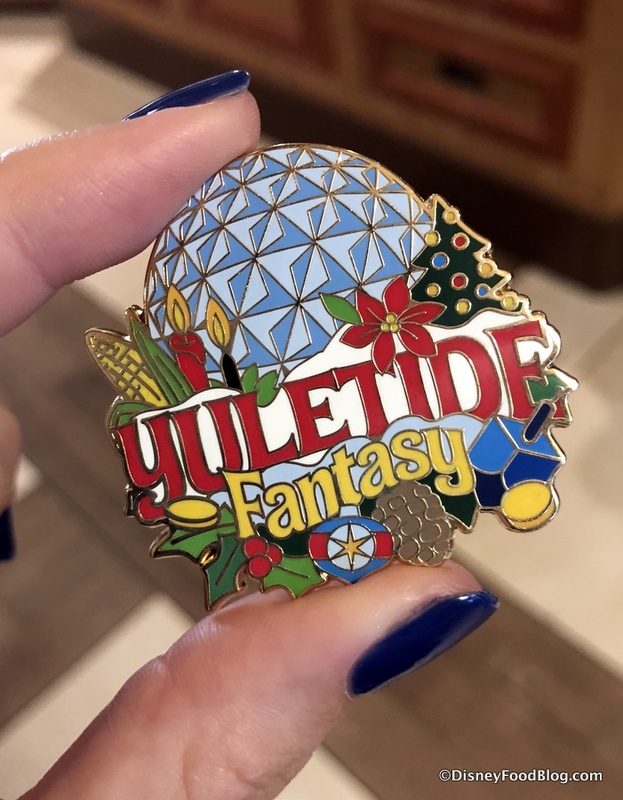 See our preview/review of the Yuletide Fantasy Tour for 2018 here! One of the tastiest ways to enjoy the Christmas season is by decorating cookies, and many resorts throughout Walt Disney World offer younger guests the chance to decorate their own! 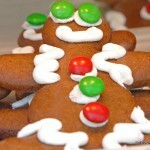 Decorating Gingerbread Men is a Must! Look for tables set up in the lobby, or check with your concierge desk for more information. One of our favorite pastimes during the holidays is a trip to Ft. Wilderness Resort and Campground to see the campsite decorations. Guests of this resort go the extra mile to celebrate the season. 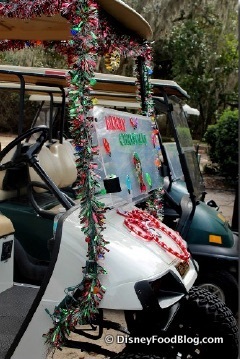 If you plan your visit for Christmas Eve, be sure to stick around for the traditional Golf Cart Parade, when guests deck out their golf carts in all manner of festive decor and parade around the resort! While you’re at Ft. Wilderness, catch a Sleigh or Wagon Ride. Yep — that’s right. 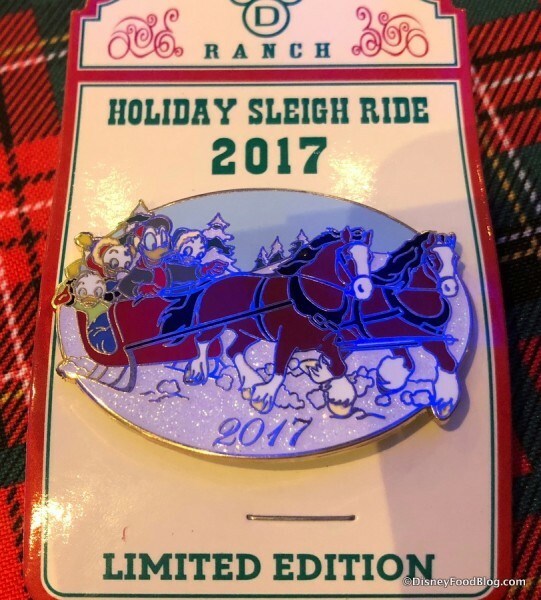 Through the magic of Disney, you can ride in a sleigh in Florida! Wagon rides are also available (and are a bit easier on the budget). 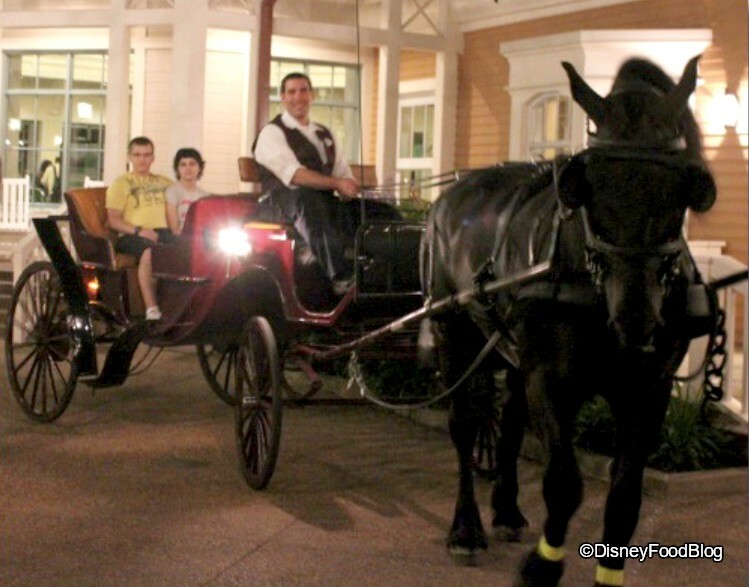 If you have your heart set on taking a Carriage Ride instead, you can also head over to Port Orleans Riverside Resort for this charming old world experience. 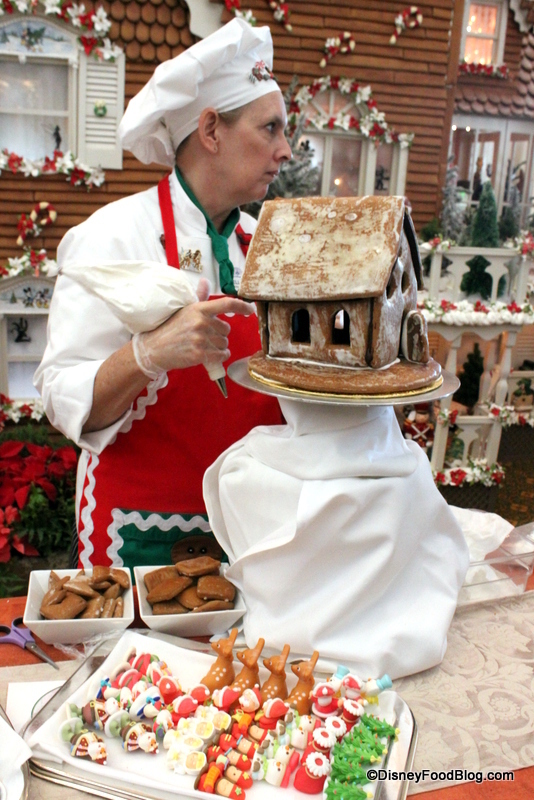 Checking out the Gingerbread displays and eating the yummy treats is always fun, but you don’t have to stop there! 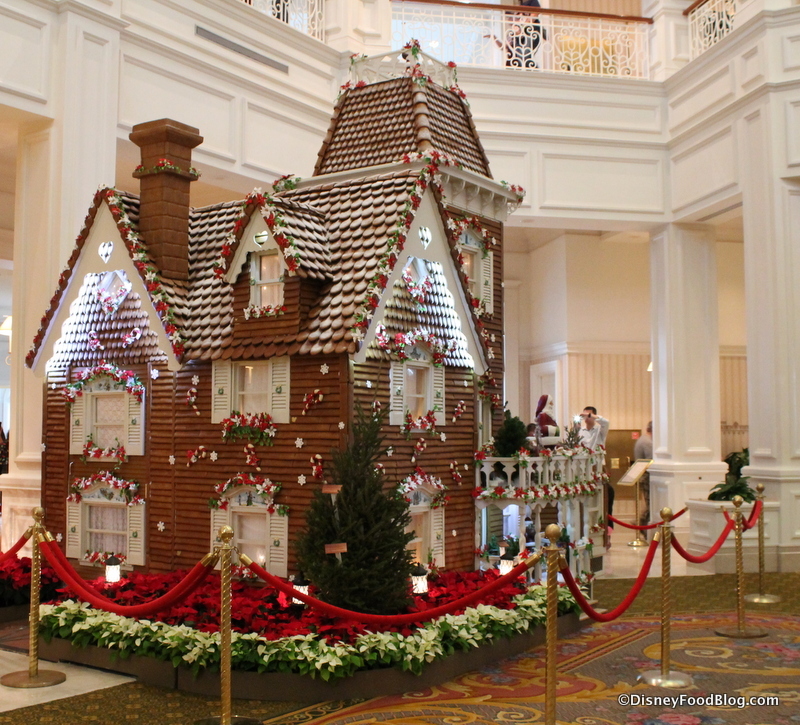 Get in on the decorating action, and attend a Gingerbread House Demo at the Grand Floridian Resort and Spa to get some great tips on building your own masterpiece. Go even deeper with Gingerbread School at the Ritz Carlton, where families can build their house and take it with them. 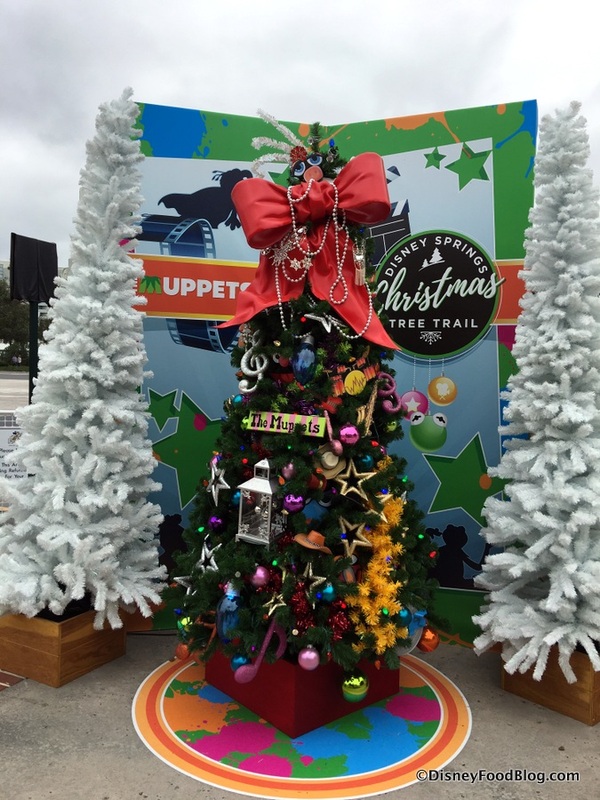 This self-guided tour includes dozens of Christmas trees dressed to the nines in designs inspired by Disney movies, characters, and attractions! It’s the perfect non-park day experience. 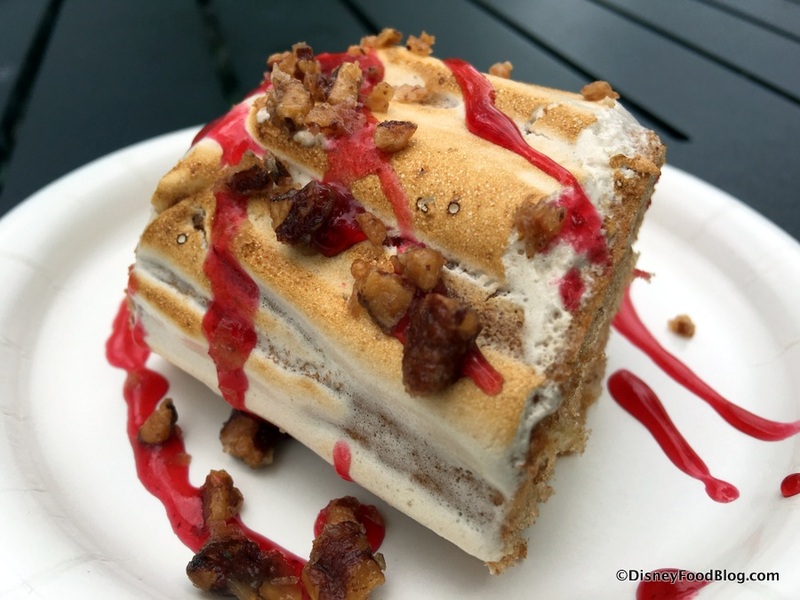 Pair this fun activity with a terrific meal at one of Disney Springs’ fantastic restaurants, and then grab a special treat from The Ganachery or Amorette’s Patisserie. 25. 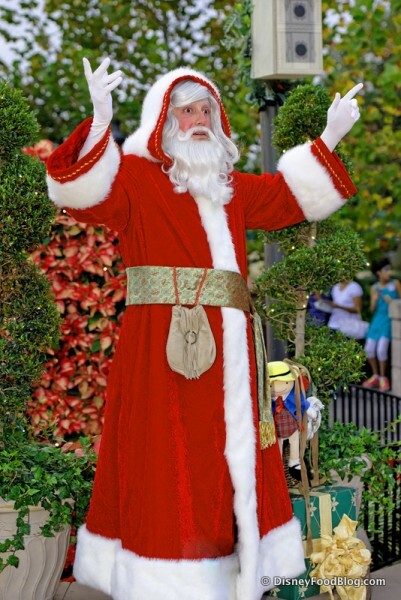 And Finally… See Santa! It just isn’t Christmas without a visit with the man himself! If seeing Santa Claus during the holidays tops your list, then you have plenty of options. 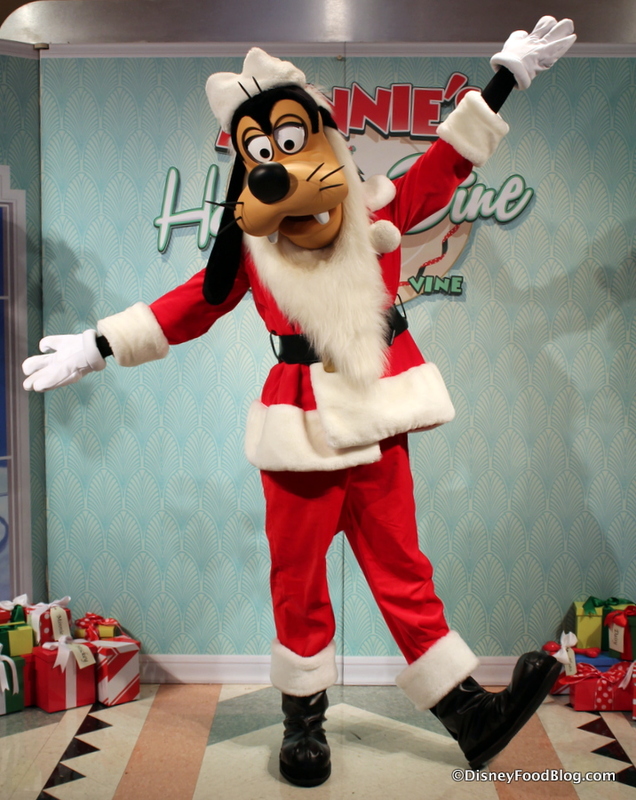 See Santa Goofy at Minnie’s Holiday and Dine! As we’ve mentioned, Santa makes regular appearances at the end of Mickey’s Once Upon a Time Christmastime Parade. 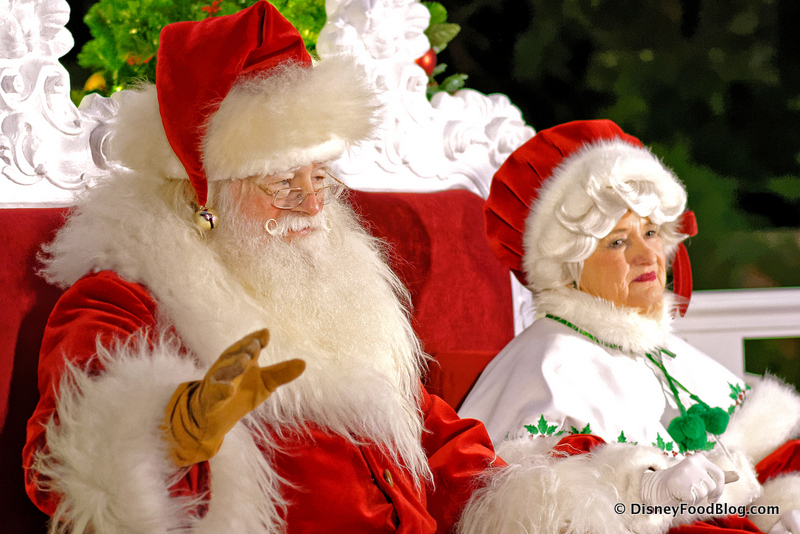 You can also meet with Santa and Mrs. Claus in the American Adventure Pavilion during Epcot’s Holidays Around the World. 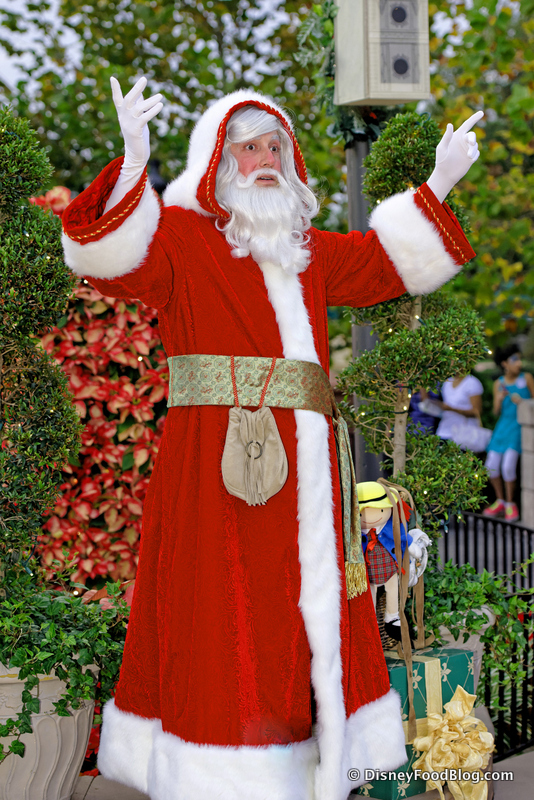 He also makes appearances at Magic Kingdom near City Hall from late November through Christmas. And you’ll find him in Hollywood Studios from November 9th through Christmas Eve at the Once Upon a Time shop on Sunset Boulevard. 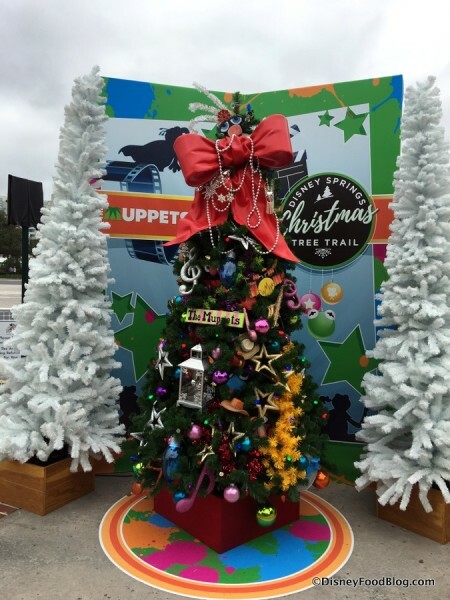 Finally, catch him at Disney Springs on the Christmas Tree Trail and the Walt Disney World Swan and Dolphin as well! And you can meet Santa Goofy at Disney Springs and Disney’s Hollywood Studios on select days. 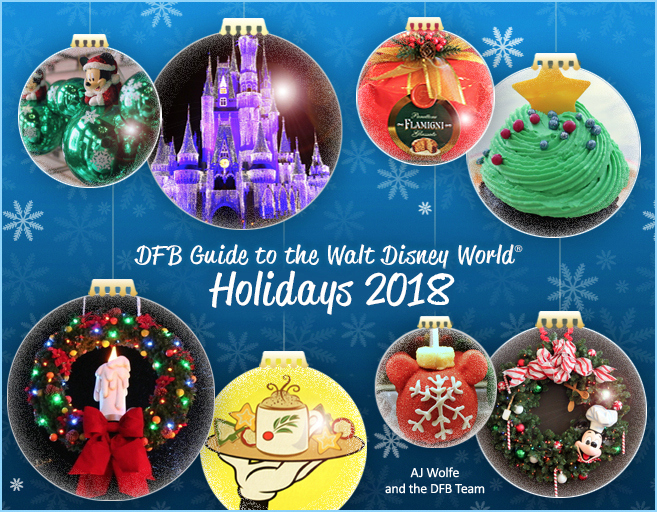 For all the details about these fun holiday events and much, MUCH more, check out our the latest version of the DFB Guide to the Walt Disney World Holidays, 2018 e-Book! 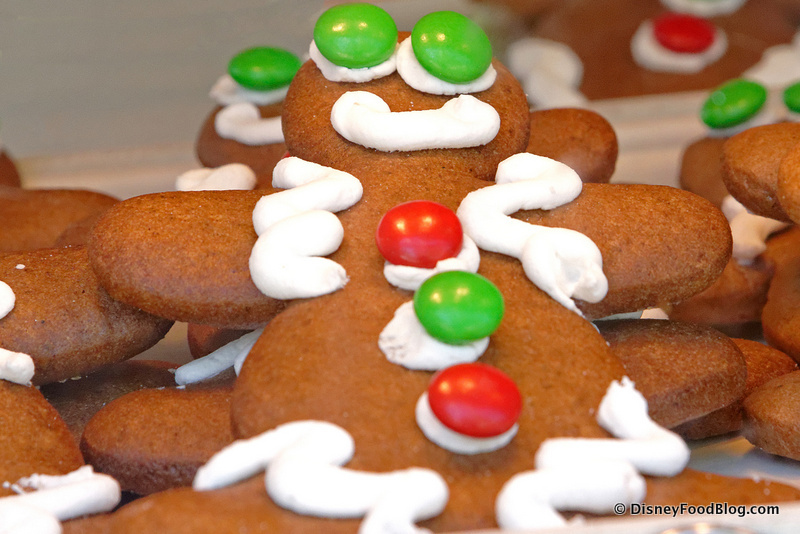 What events, treats, or meals make your Disney Holiday Must-Do List? Leave a comment and share your favorite with us! 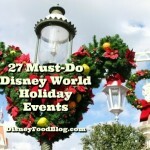 27 Must-Do Disney World Holiday Events and Eats! 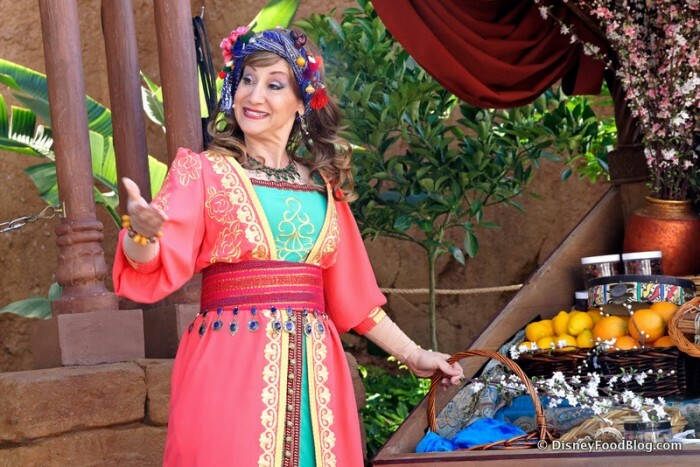 « Disney’s Animal Kingdom Celebrates 25th Anniversary of ‘The Lion King’ with Hakuna Matata Time Dance Party and More! I was there during the Christmas holidays in 2012 for the first time and I felt like a little kid. I can’t wait to go a second time! Were staying in the cabins at Ft Wilderness December 9 to the 14. It’s the first trip for the kids. I’m so excited to try all the yummy food you always talk about.. This post is getting us super excited to go. Were not sure about the Christmas party though, there is 6 of us and with little ones I’m not sure I want to spend the money if there only going to last an hour. We haven’t decided yet.